A recording of a talk by UN Deputy Commissioner for Human Rights, Kate Gilmore, and NZ Chief Human Rights Commissioner, Paul Hunt, and a panel discussion at a of issues arising from the mosque attacks of March 15. What is the relationship between charities and funding? Today's guests come at this question from different perspectives: Bridget Frame analyses government grant donations, and Catherine Low advocates for individuals to consider where they can most effectively donate. 10 December 2018 marks 70 years since the adoption of the Universal Declaration of Human Rights (UDHR) by the United Nations General Assembly. Join our guests - University of Canterbury lecturers Natalie Baird and Jeremy Moses, grassroots activist Rāwā Karetai and Human Rights Commission lawyer John Hancock - as they both celebrate and problematise the impact of the UDHR on human rights at the international, domestic and community levels. 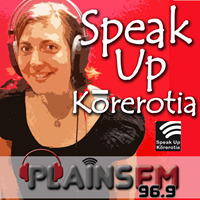 Speak Up – Korerotia-10-11-2018 Teaching War, Teaching Peace? 11 November 2018 marks one hundred years since the signing of the Armistice that ended the First World War. The scale of this war makes a compelling argument for commemorating it - we must remember in order not to repeat the mistakes of the past - yet does this argument hold true? Guests bring three different perspectives of 'teaching war and peace' to the show and are invited to ponder the question: Does teaching about war translate into teaching about peace? We hear from Rowan Light (University of Canterbury) about changes to ANZAC Day commemoration over time, Katerina Standish (National Centre for Peace and Conflict Studies, University of Otago) about the acknowledgement of violence in New Zealand curricula, and Laura Jones (Te Papa) about the role of New Zealand's national museum in encouraging audience reflection on notions of war and peace.